Now is your chance to try out the Music Together® program! We are holding free demo classes THIS week. Our Generations demo is at Allisonville Meadows on Wednesday 4/17 at 10am, and our regular mixed-age demos are on Thursday and Friday 4/18, 19 at Performer's Edge at 10am. Email or call Kelli at 917-334-7131 to RSVP for one of these classes. Hope to sing with you soon! 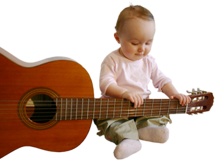 We are excited to offer the Music Together Generations class! This is our regular mixed age class with a twist...classes are held in an assisted living facility and include 12 of their residents we call our "Grandfriends." 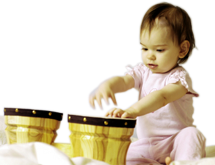 You and your child will experience even more benefits during class as you foster new relationships across the generations through the fun of making music together. Hope you can join us on Wednesdays at 10am this spring...first class is on April 24th, reserve your spot today!